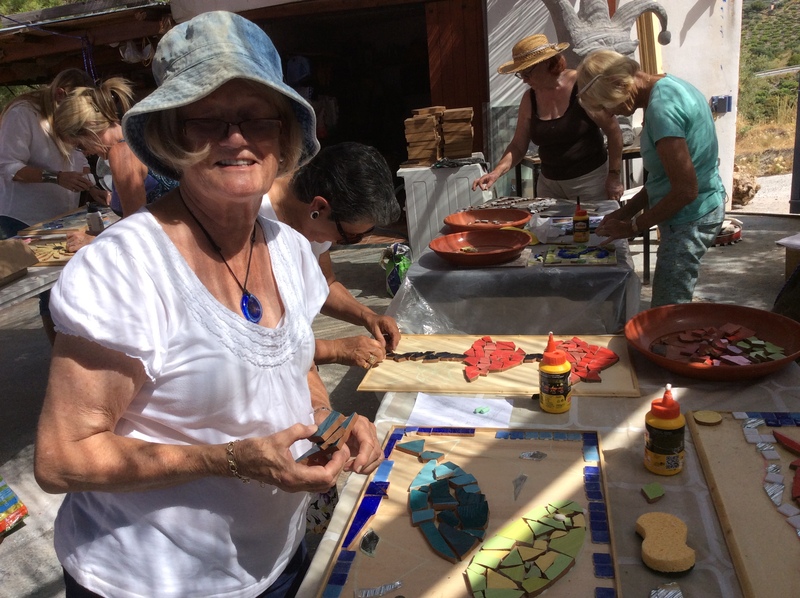 After our enjoyable trip to the Kitty Harri Sculpture Garden, some of us returned on June 9th, to take part in a Mosaic workshop. We were there to start at 09.00, with a coffee and then an explanation of the day by Kitty. 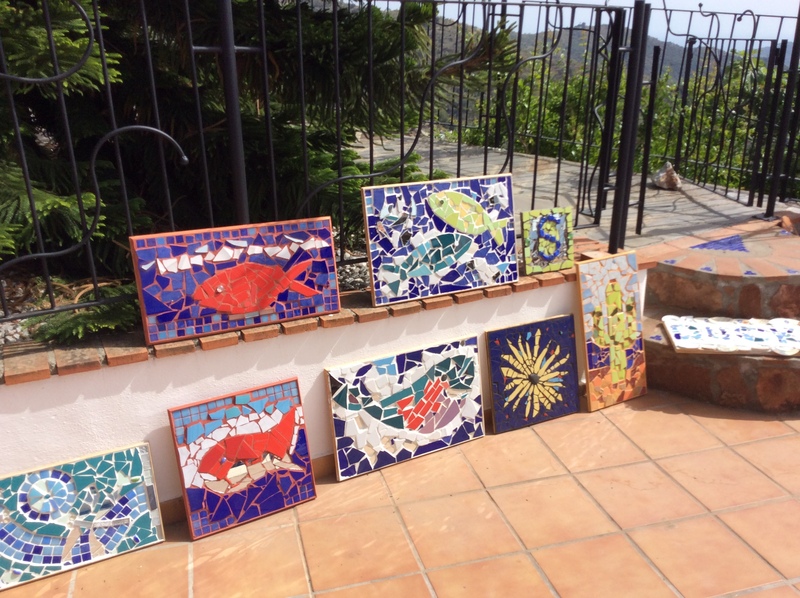 She then took us to look at some of her mosaics to inspire us ! (or make us feel inadequate before we started !) and gave explanations of how she achieved the final result. 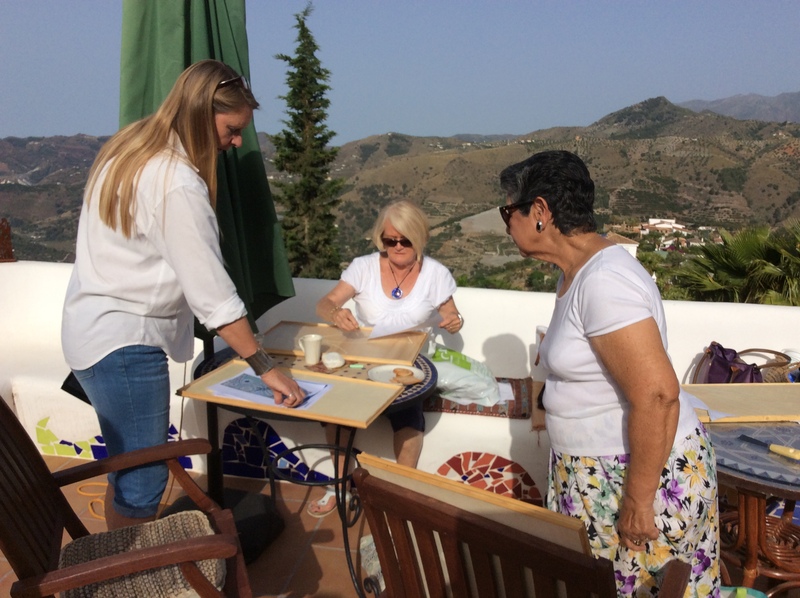 We chose our boards and drafted our designs – Kitty was there all the time to assist. We then chose our colours from the huge array of tiles available and set about placing them. It was a very hot day and so Nick quickly managed to erect some sunshades. 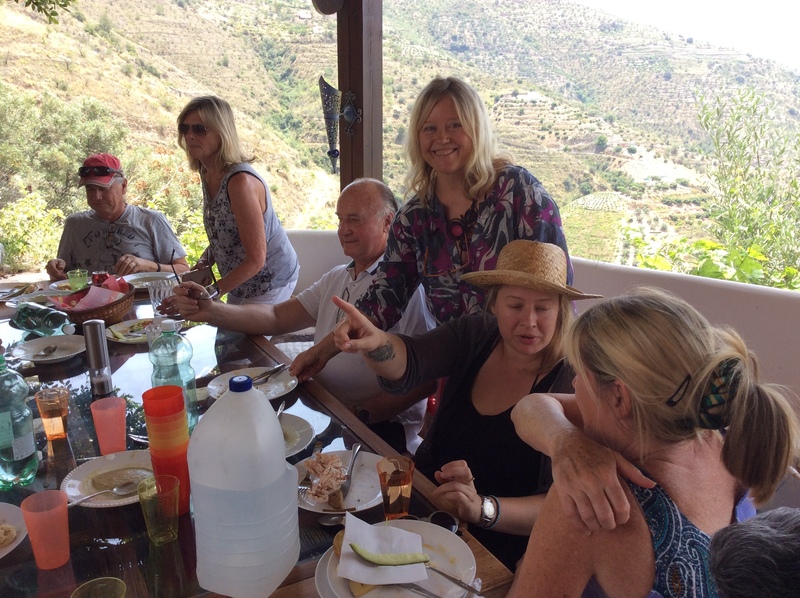 We stopped for a wonderful vegetarian lunch, prepared on the premises and then it was back to work to complete our masterpieces. 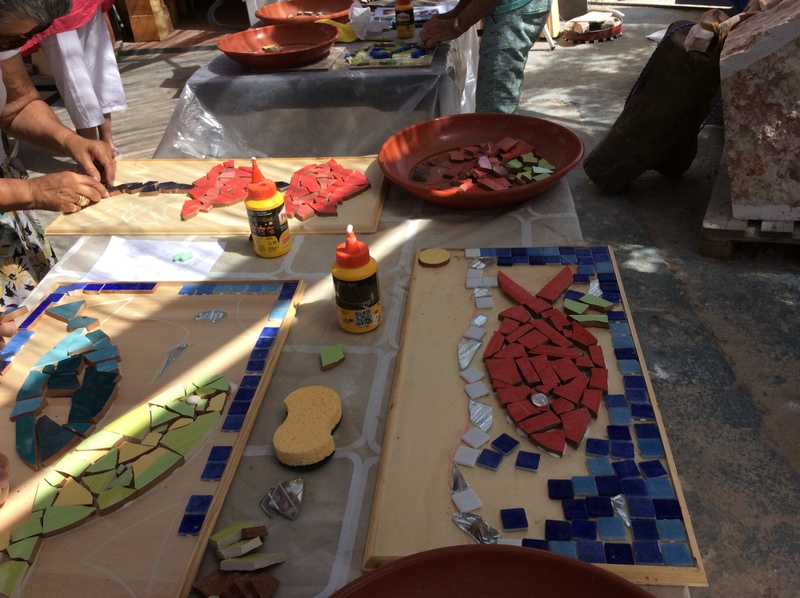 Considering that none of us had worked with mosaics before, the results were very pleasing ! There will be more workshops in the Autumn and I will notify you of them.